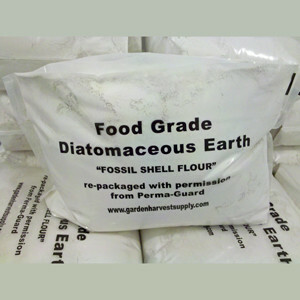 I have recently been using food grade diatomaceous earth for flea treatment. It is very inexpensive and natural. It is a silica product from dry lake beds made of tiny hard algae fossils called diatoms. These fossilized diatoms naturally kill negatively charged pests by piercing their exoskeletons which inadvertantly dehydrates them. 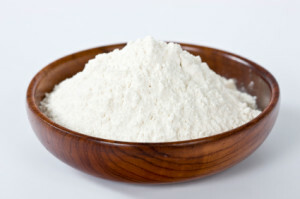 You can spread the food grade diatomaceous earth all over your yard and you can even dust it in your house (I don’t recommend this because it is very messy, but it’s a good solution if you have a very bad infestation. It also kills bedbugs.). You need to wear a mask when you distribute it because even though it is non toxic–the particles are so tiny that it isn’t great for your lungs to breathe when it is floating in the air like a little dust cloud. It will settle in once you put it down–but be prepared to get the stuff all over you. It is very dusty to use and can be a bit drying to the skin; but it is non toxic and washes off easily. It is very light like talcum powder and you can shake it out of a pastry shaker to get the most even coverage. You can also take an old coffee can–pour it in there and pierce the top with lots of holes so you can shake it out. A lot of gardeners use DE to get rid of aphids and unwanted pests in their garden. This is powerful stuff. Another thing that we use at Dog Camp LA/Ventura is orange oil. Dusting some diatomaceous earth on your pet and your pet’s bedding -This method works, but can really dry out your pet’s skin. Only use a very small amount and wear a mask. You can cover your pet’s snout with a towel. Shampoo your pet within 12 hours and put some coconut oil on your pet’s coat afterwards to ease the drying effect. 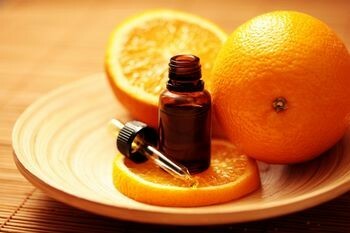 Give your pet an orange oil bath – Fleas hate this stuff. You must dilute it in pet shampoo. When you wash your pet, the fleas will magically fall off and your pet will smell like delicious oranges. Unfortunately, the fleas will jump right back on your very clean dog unless you can get the fleas at your place under control. You can dilute the industrial degreaser in your dog shampoo for flea dips and you can add a few capfuls to your floor cleaner to kill fleas in your hardwood floors. Sometimes you can get orange oil from home depot but if you buy it online you can get it in a larger quantity for a cheaper price. This company has a good price http://www.citrusdepot.net/shop/industrial-degreaser/. Orange oil will strip the flea meds off your dog–so you will need to make sure and wait a few days for the dog’s natural oils to return if you want to dose your pet with flea meds. Also–we don’t recommend doing this bath right after applying flea meds, because it will make them ineffective. For a lighter flea bath try products with Neem oil. It is less astringent and smells good— but it is less effective on a bad flea infestation. Neem oil can be used while your pet is on flea meds if you wait 3-4 days after you dose them. Place in a spray bottle and shake. Spritz daily to stay flea free! Use a fine flea comb on your pet to check and see if it has fleas or flea dirt. Keep a bowl of soapy water nearby to drown the fleas in. Vacuum everyday to pick up fleas and eggs- If you have a vacuum that has a bag–dump it out and put it in the freezer to kill any eggs that you may have picked up. Some of these treatments will also protect your dog from heartworm, ticks, and other parasites. If the natural stuff doesn’t work—these meds will kick those fleas to the curb. Some people use these products during high flea season, and then switch to the natural remedies when it gets cold and the fleas are not a problem. Most of the methods I have mentioned above, I have implemented myself. I am not a flea abatement specialist–just a concerned environmentalist and animal lover. Some of these treatments are potentially hazardous for dogs, cats, and humans if done incorrectly or in excess. Please use these methods with caution and do some research them before you try them. Please let us know your results. I found very little directives on the internet on how to use these remedies; but hopefully my research will benefit you and help to send you in the right direction.